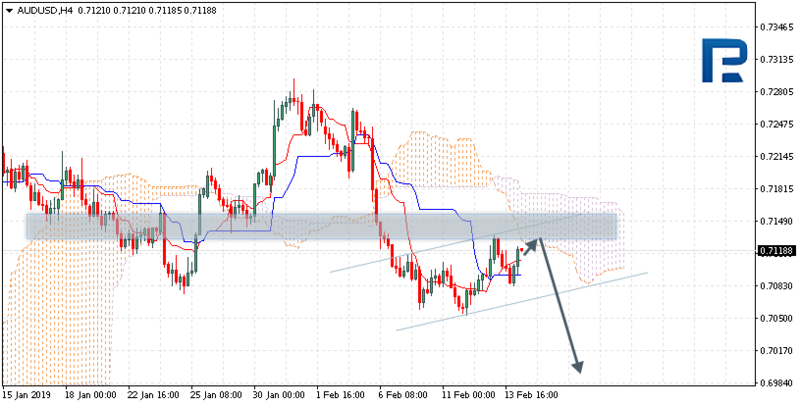 AUDUSD is trading at 0.7118; the instrument is moving below Ichimoku Cloud, thus indicating a descending tendency. The markets could indicate that the price may test the downside border of the cloud at 0.7125 and then resume moving downwards to reach 0.6985. Another signal to confirm further descending movement is the price’s rebounding from the resistance level. However, the scenario that Implies further decline may be cancelled if the price breaks the upside border of the cloud and fixes above 0.7185. In this case, the pair may continue growing towards 0.7285. NZDUSD is trading at 0.6829; the instrument is moving below Ichimoku Cloud, thus indicating a descending tendency. The markets could indicate that the price may test the upside border of the cloud at 0.6845 and then resume moving downwards to reach 0.6655. Another signal to confirm further descending movement is the price’s rebounding from the channel’s downside border. However, the scenario that Implies further decline may be cancelled if the price breaks the upside border of the cloud and fixes above 0.6865. In this case, the pair may continue growing towards 0.6955. After breaking the support level and fixing below 0.6695, the price may continue moving downwards to complete Head & Shoulders reversal pattern. USDCAD is trading at 1.3237; the instrument is moving above Ichimoku Cloud, thus indicating an ascending tendency. The markets could indicate that the price may test the downside border of the cloud at 1.3195 and then resume moving upwards to reach 1.3445. 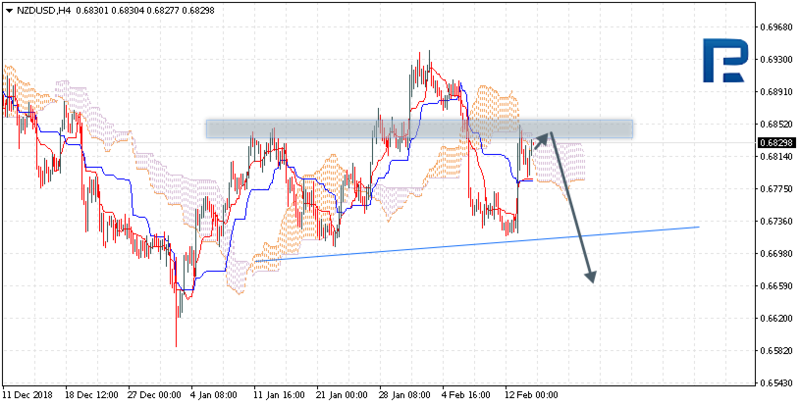 Another signal to confirm further ascending movement is the price’s rebounding from the support level. However, the scenario that implies further growth may be cancelled if the price breaks the downside border of the cloud and fixes below 1.3155. 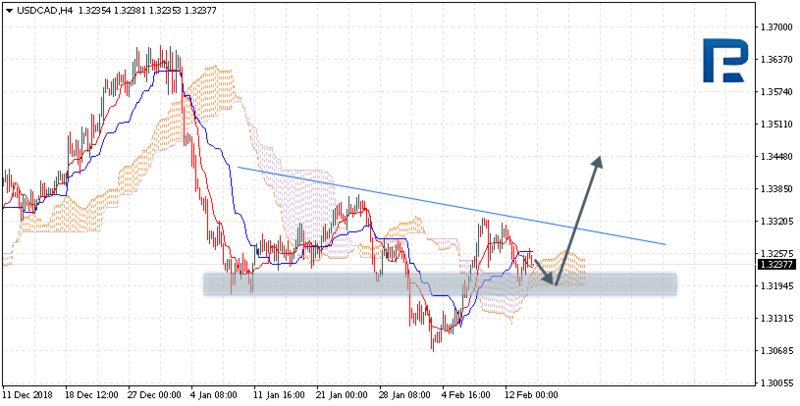 In this case, the pair may continue falling towards 1.3065. After breaking the resistance level and fixing above 1.3325, the price may continue moving upwards to complete upside-down Head & Shoulders reversal pattern.